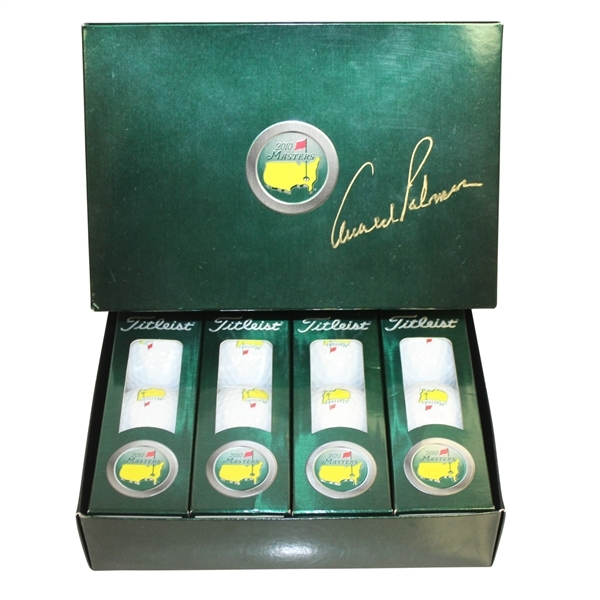 Arnold Palmer is generally regarded as one of the greatest players in the history of men's professional golf. 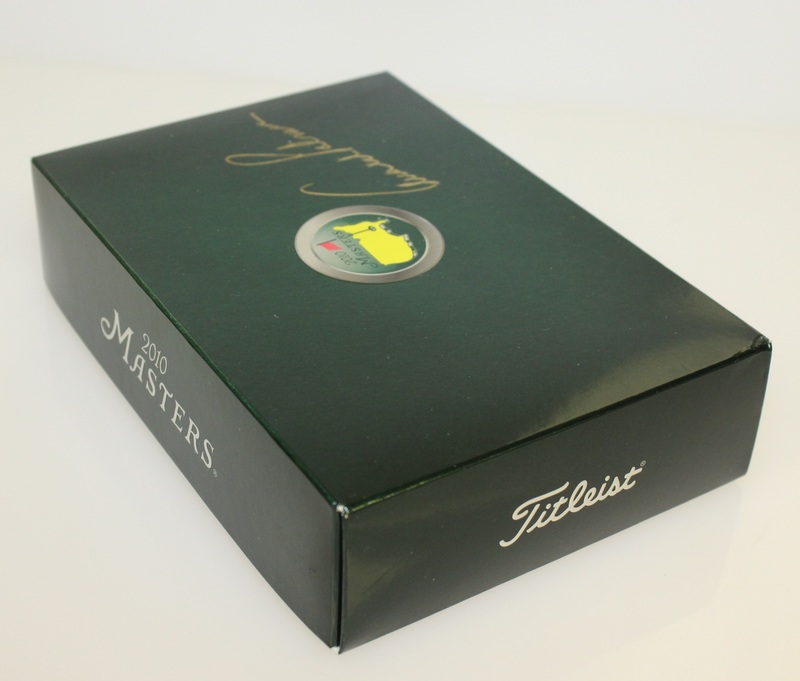 He has won numerous events on both the PGA Tour and Champions Tour, dating back to 1955. 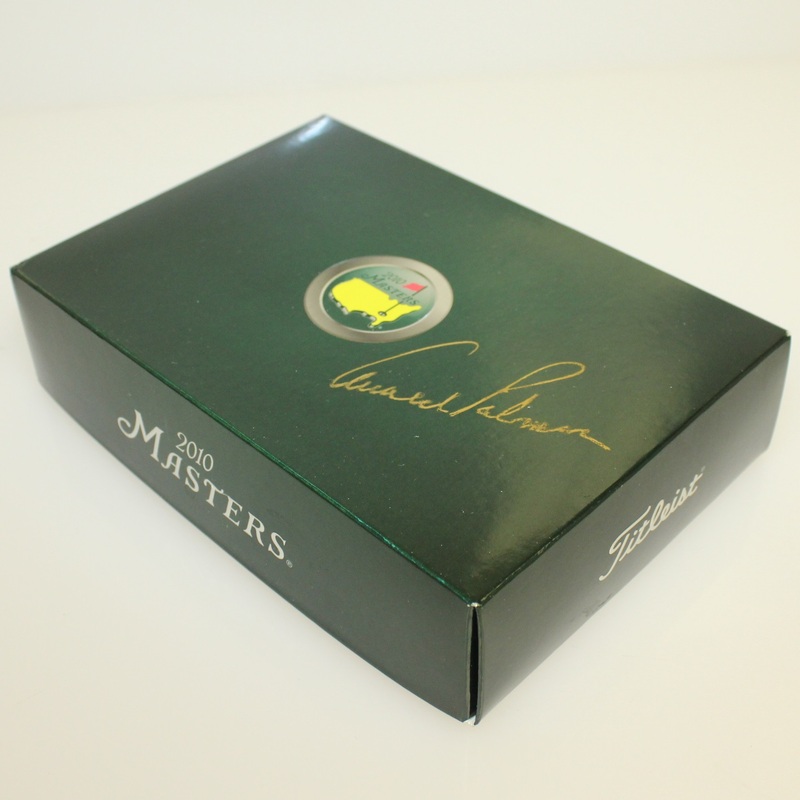 Nicknamed "The King," he is one of golf's most popular stars and its most important trailblazer, because he was the first superstar of the sport's television age, which began in the 1950's. Palmer's 4 wins at the Masters Tournament, in 1958, 1960, 1962, and 1964, make him one of the more successful golfers at Augusta National. 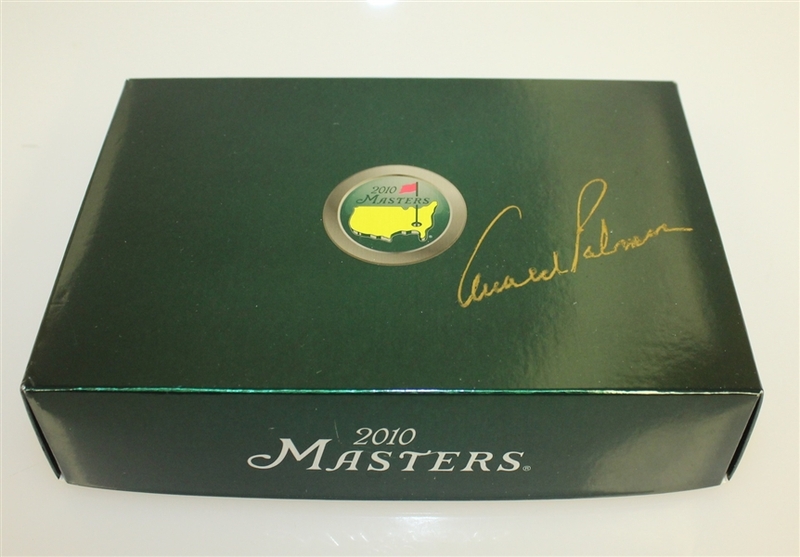 Here we have a dozen 2010 Masters logo golf balls, with the sleeves and original box. 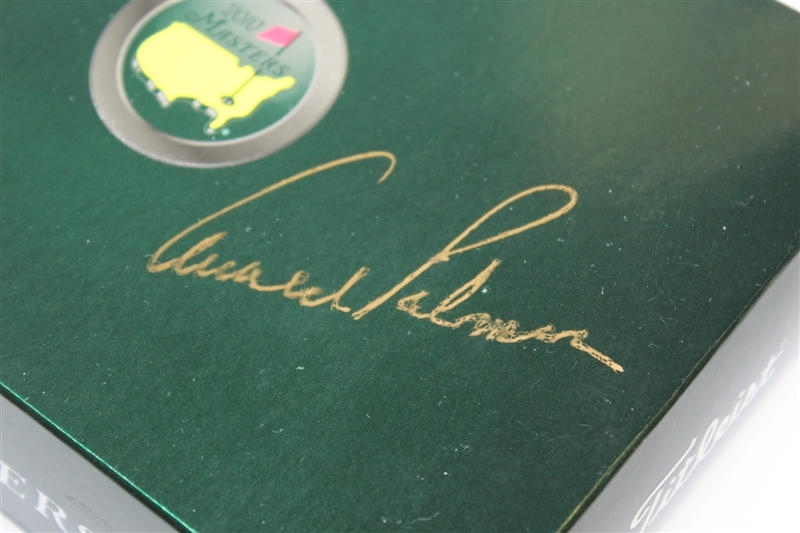 Palmer left his signature nicely on the box in gold marker.